In the last 2 years or so, I have had the luxury of living in a city, and not only that, I have lived one street over from a Michael's, JoAnn's Fabrics, and a Hobby Lobby. When I have been particularly sad or anxious, I have gotten into the habit of visiting these stores. It's not like I've bought something every time I've been in- heck, I walked around two of them today and made no purchases. 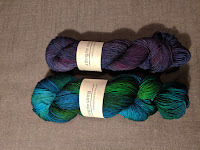 However when I have made purchases, all of those purchases have been acrylic or acrylic blend yarns. I will admit to not having a clear intention of what to make for most of those purchases, though I've been really into crocheting blankets, and generally bought enough of any one purchase to make what I guesstimate would be enough to make at least a small baby blanket to an afghan. 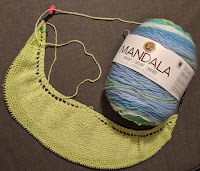 While I was acquiring for the first time what felt like an unlimited stash, I began listening to an assortment of podcasts, getting back into reading blogs, and generally tentatively stepping back into the crafty community at large. And that community was loud and clear- acrylic was evil, crap, and only suitable for the homeless and others who could not be trusted to properly launder things. That ideology was not shocking to me- I had heard all of these things when I started loom knitting seriously in college. I also recognized that there was a huge divide between the knitters that I followed through podcasts and blogs, many of which were sponsored by wool based yarn companies, and the crocheters online who were either independent or sponsored by the big yarn conglomerates I could easily shop for in the big box craft stores.I get it- I don't fault folks for trying to pay the bills. However, I know that I am uniquely privileged- I have access to local yarn shops and big box stores in my city. That's something I didn't have access to where I grew up and went to college. 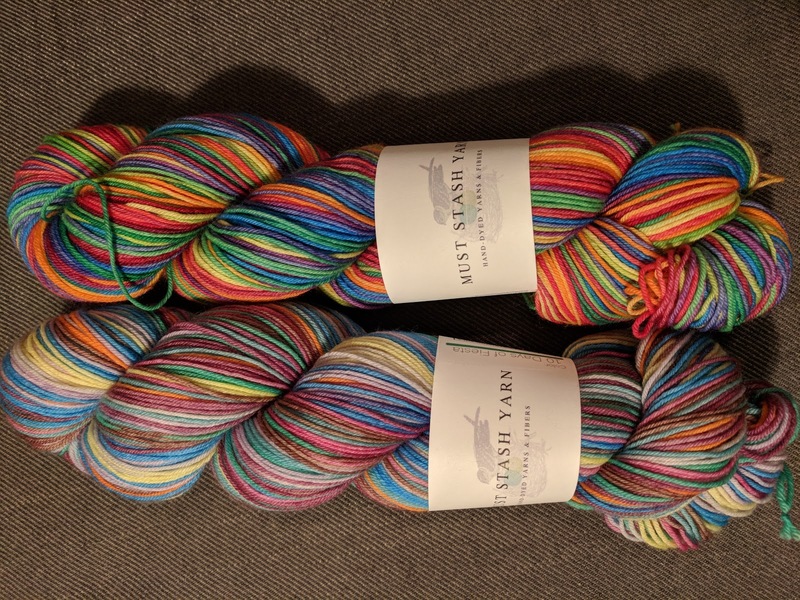 If I want to purchase yarn when I'm visiting my parents, my options are Wal-Mart or a 45 minute drive to the Hobby Lobby. That being said, the local yarn shops in my area are not open the hours of the big box stores, as conveniently located, or frankly, as welcoming to browse aimlessly. I didn't dare whip out my acrylic yarn project, even with everyone knitting and crocheting away, while at the Fiber Festival. I don't think anyone would have said anything, but I knew better. I'd rather look like the weirdo with no knitted accessory present (I have gifted almost everything I've made at this point), walking around alone, then be the idiot sitting next to piles of wool using the "crap" option. I intentionally signed up for a lecture based knitting class, and sheepishly participated in a crochet class with a skein that said "Wool-Like" on the ball-band. I skipped the seats on either side of me and hoped everyone near me didn't recognize the label. *We (crocheters/knitters) should attempt to stop being judgy McJudgies. People outside of wealthy, typically white, neighborhoods don't have easy access to local yarn stores. Plenty of folks don't want to shop online for yarn, and so for access or budget reasons, you get the materials you get. *Acrylic yarns are not the same as they were in the past- many of the premier acrylics are pleasant to work with and soften with time. However, they aren't natural fibers- they won't stretch, they won't block or felt, and they will melt in extreme temperatures. *The project should dictate whatever fiber is used. I am not someone currently making socks, sweaters, or delicate or lacy fabrics. I have some projects in mind that are like that, and I get that I will have to pony up for more expensive fibers if I want to make those things. *I like making baby blankets and afghans. There is no way I could afford to make those projects with purely natural fibers. *That being said, I want to transition to more natural fibers for the same reason I didn't use a straw today at lunch. No, I don't want a medal, but I do want to be part of a movement away from unnecessary plastic use. -What would I do with the other months of the year? I fully intend to purge my stash of yarns pretty soon; there are some projects I'm just not interested in anymore, and I've made peace with that and can forgive myself. I also know that I want to switch to having projects in mind before I buy yarn (as much as possible-I know myself a little too well). However, I think acrylic yarns will probably have a place in my crafting life for a while.